Oooooh, I would LOVE this dish. Lemon and macarpone? Looks fabulous Stefanie! This sounds so good! And not too heavy, which I love. This sounds great, Stefanie! 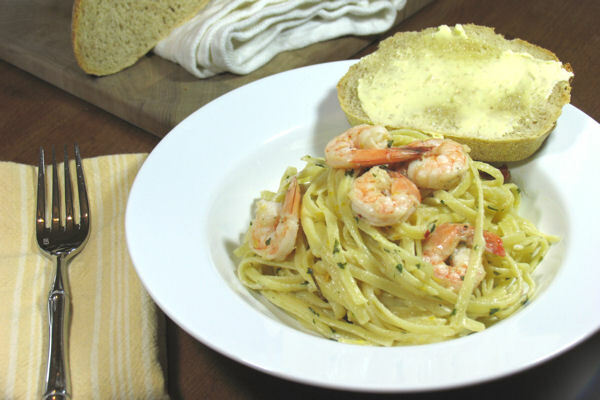 Mascarpone is great with pasta and I’m sure the lemon really brightens up the dish. Yum! I have a pasta addiction as well.. I could comfortably tuck into a plate every night.. and if it always was a refreshing sounding as this one.. no problem!! This looks so mouth watering! 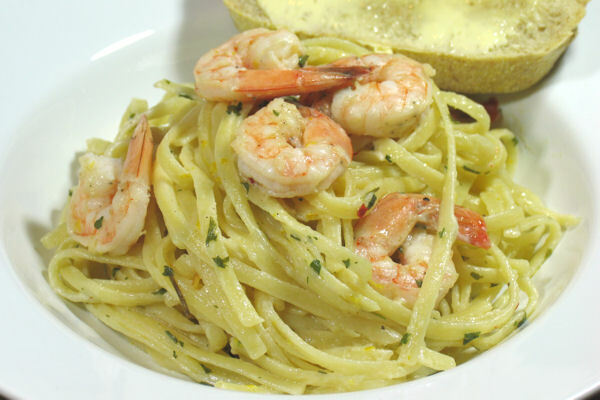 It’s been way too long since I’ve had a good shrimp pasta, and lemon is one my fav things to go with it! Just found your site via John’s. 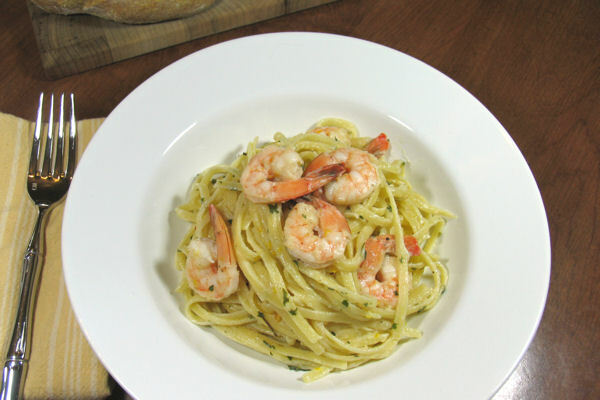 I’m going to make his dish for lunch today but if I have some mascarpone left, I will try and give your delicious looking dish a go later on this week! Look forward to following and seeing more of your recipes! Best wishes from South Wales, UK.